This bird gives a whole new perspective on the idea of rosy cheeks. 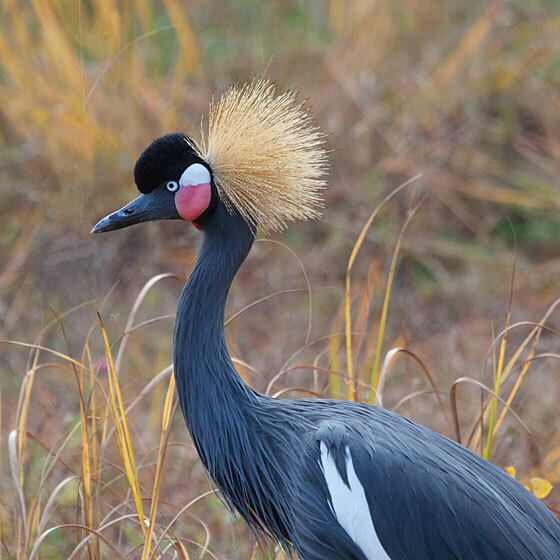 A pair of Black Crowned-Cranes live at the International Crane Foundation, in Wisconsin. 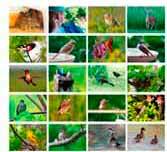 They have a special building to stay warm in, as they are birds of equatorial Africa, and they have no idea why anyone would live where the winters are as cold as they are in the Midwest. 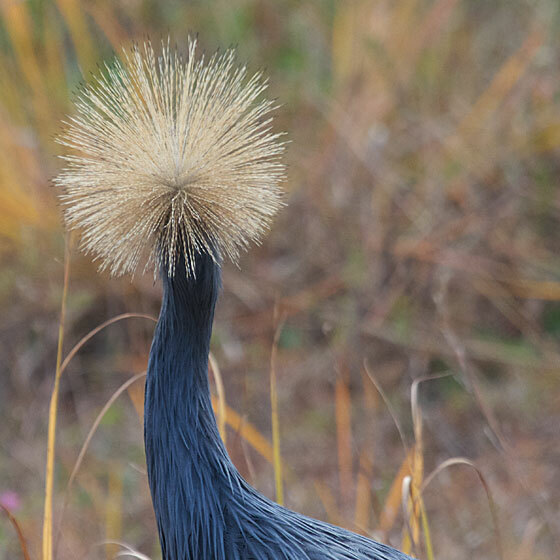 I particularly like the back view of this crane. Kind of like a fireworks bird, I'd say. 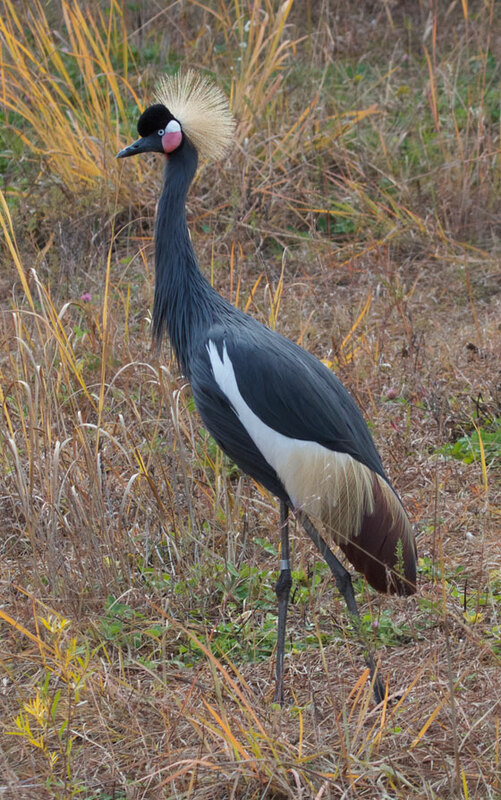 Crowned cranes are smaller than most cranes, but do have a regal posture.